Hi everyone! It's Angie here from The First Grade Scoop. 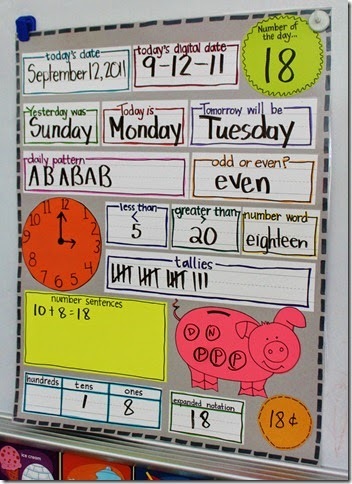 I just wanted to drop by to share a couple things that have been working in my classroom to make the most of every minute! We all know teaching is a super busy job. We're constantly running in a million directions, and the little time we have with our students really needs to count. Sooo... I created my own. It's not as pretty, but it definitely gets the job done. What about making the most of our planning minutes? I have two little ones at home and I refuse to work on work until they're in bed... Which means it's sleep or work. So, I wanted to save time planning. Also, we don't have a specific planning program that we HAVE to use, but I started using Planbook.com this year and I LOVE LOVE LOVE it! It's supereasy to add lessons, save lesson formatting... and the big kicker? When something happens that changes your lesson (fire drill? Unplanned assembly? ), it's easy to extend or bump your lesson to the next day. Seriously... Big time saver! I hope this helps you make the most of your time! See you next month!